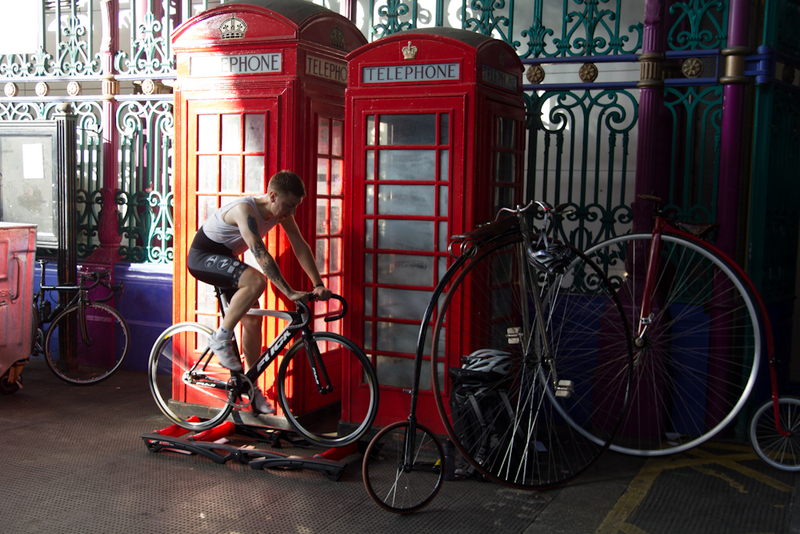 For those of you not into cycling (why not! 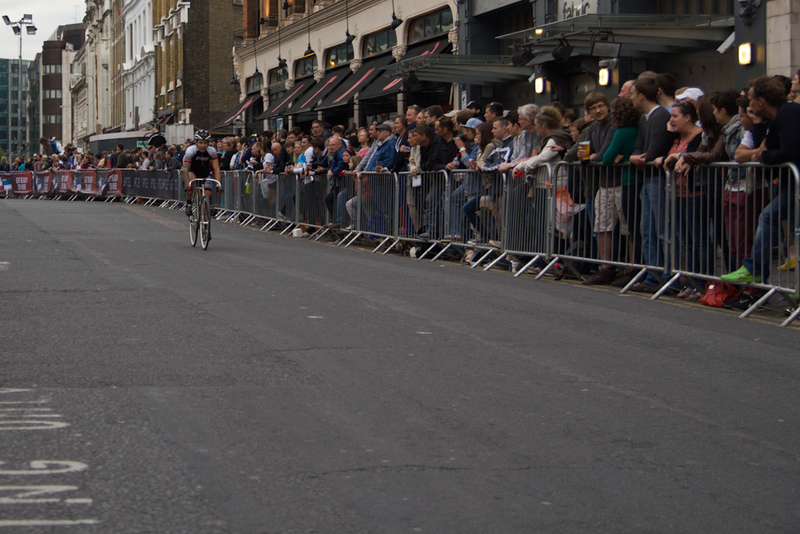 ), according to Wikipedia, a criterium, or crit, is a bike race held on a short course (usually less than 1 mile), often run on closed-off city center streets. 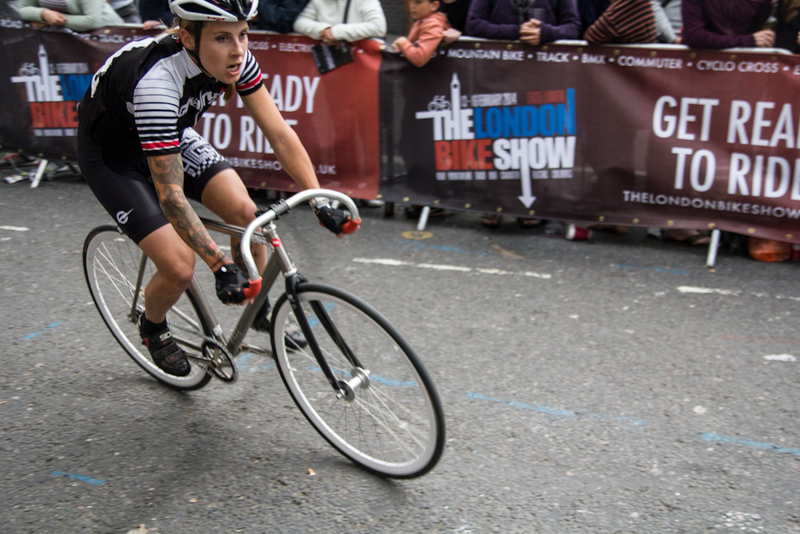 I’m always up for trying new things, and when I heard that there was to be a track bike crit at the London Nocturne in Smithfield’s, I wanted to give it a try, chiefly because I had little idea what to expect. With so many questions in my head about the race, I found myself signing up and looking forward to my race debut – what better way to find the answers than participating? I knew I’d be racing with the men, but I had no idea how I’d fare. What standard would they be, serious pros, or urban fixed gear enthusiasts? 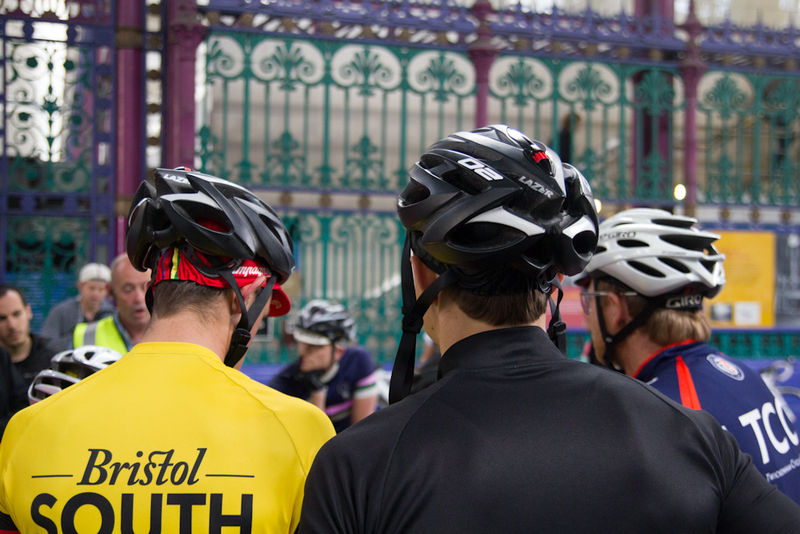 Would riders pace themselves or go flat out from the start? Could I handle the sharp turns of the course at speed? In the run up to the event, a lot of women congratulated me on having the balls to enter the race, and asked me whether I was nervous. I actually wasn’t nervous and here’s why – a lot of people are scared of trying things because they’re scared of failing. But what really is failing? And how could I define it when thinking about this race? 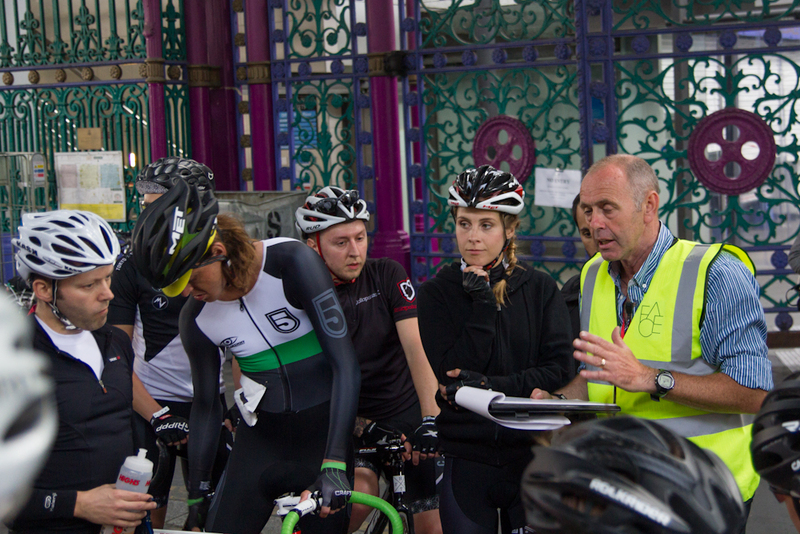 My only goal with entering the track crit was to participate, so as long as I turned up, how could I possibly fail? I didn’t do much prep in the run up to the event; I rode my bikes when I could but I didn’t really train as I’m not very clued up about that sort of thing. I did set up my new Ti Charge Plug with drop bars and I tried to work out an appropriate gearing, but that’s about the extent of it. So at the start of the race, by main concern was whether I’d chosen the right gearing. I’d decided to keep it pretty spinny as the course included a sharp bend followed by a hill, and I wanted to be able to sprint away quickly after slowing slightly for the bend. I ended up going with about 68 gear inches whereas I think Rudy from Fifth Floor had about 90, and seeing as I didn’t even slow much for the corners, I reckon I should have gone higher. As I mentioned before, I didn’t really know what standard everyone else would be, and I didn’t know whether everyone would sprint from the start, or kind of hold off slightly till the last few laps. It turns out that everyone sprints from the get go, and though the pack was pretty mixed, some very strong Italian riders set the pace at the front, and it was FAST, way faster than I could handle. I absolutely loved the race; it was one of the most fun things I’ve ever done – tearing around a closed course as fast as you can, my friends cheering on the sidelines. When I wasn’t grimacing through the pain of burning lungs, I rode with a smile on my face the whole time! But despite the enormous amount of fun I had, sadly I just wasn’t fit enough, and I pulled out of the race once I was lapped by those speedy Italians, my lungs screaming, nearly puking. In terms of fitness, it was a real eye opener – it’s easy to think you’re fit when you compare yourself with the average Joe, but as I’ve found out before (in the two cyclocross events I entered) I am a million miles away from the level required for this thing. I strongly believe that if you put the time in at things, you’ll get somewhere, so I’m going to put the time into riding and get fitter and faster. I’ll be enlisting some help along the way too, I’ll fill you in on that at a later date! Now that I now how much I enjoy this kind of thing, I’m keen to do more – I’ve got the bike handling skills, I just need the fitness to match! Is that Back Patch available for purchase? And awesome post.